Congrats on purchasing Your Earseeds™ Fertility kit! Below you'll find the answers to the FAQ's on how to use the Earseeds™ Fertility Kit, as well as information on how each point supports your fertility. 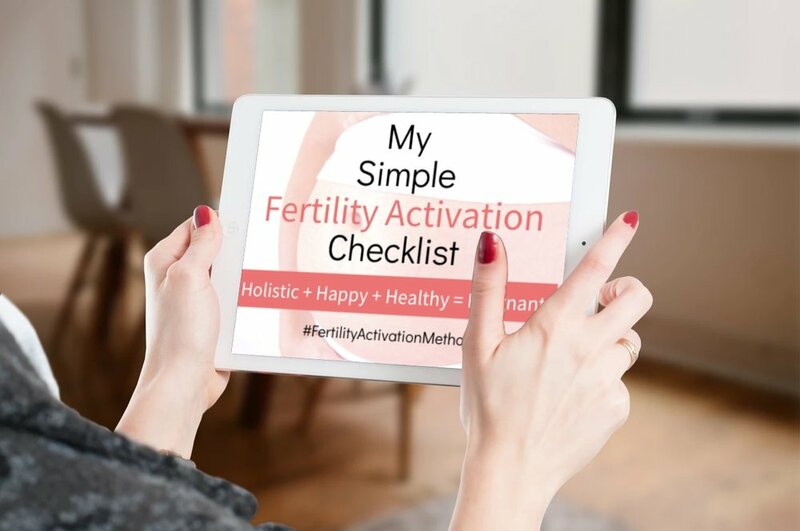 You're also invited to take my free quiz "How Fertile is Your Cycle", so that you can learn more about improving your fertility and growing your family. Take the Free Quiz: How Fertile Is Your Cycle? How do I know if I have the points correct? It's okay if you're not exactly on the point. There is no harm is your location is slightly off. Just do your best to match the location as shown in the pictures. Do the seeds go on both ears? Yes, the seeds go in both ears for maximum results. However you can wear them in one ear only. They don't all have to go in the same ear. You can do some points in one ear and the remaining points in the other ear. Either side is fine. What if I am mid-cycle when I purchase the kit but know where I am- can I start immediately? Yes, you can start wherever you are in your cycle. What if I am mid-cycle but don’t know where I am, should I wait until day 1 to start? Yes, if you don't know where you are in your cycle, then you can wait until day 1 or if you have a general idea, you can begin with the phase that you think you're in. It's okay if it's not perfectly lined up. Does Day 1 use the first protocol or the last protocol? On the first day of your period (day 1 of your cycle), begin using the first protocol - phase 1. What if I consistently have a 30-35 day cycle? How do I adjust the protocols to accommodate that, or don't I? Do the phase 1 as indicated, then switch as instructed in the packet. The last phase may be a few days longer. OR if you know how much longer your phase 2, phase 3 and phase 4 are, you can leave the seeds for each of those phase on longer. For instance, if you know you ovulate on day 16 of your cycle, you can use the phase 2 protocol from days 4-16, then switch to phase 3 for seven days and phase 4 for another 7 days. What if I'm doing an IVF cycle? When you're in the stimulation phase of your IVF cycle, use the phase 2 protocol. For the transfer and two week wait, use do the phase 3 protocol. Rotate through each phase as if you had a cycle to help bring your hormones into balance. What if I'm doing an IUI cycle? Follow the protocols as you would for a natural conception cycle. Do I continue to use the earseeds once I'm pregnant? Remove ear seeds once pregnant. Or for added support, use just the points: Shen Men and Kidney. *Pregnant women should consult a physician or licensed acupuncturist before use of the earseeds. How should I integrate the men’s protocol? Men can use the male fertility protocol at all times throughout your cycle. However, if he doesn't want to wear them constantly, then he can wear then during your fertile window at minimum. What if my partner doesn’t want to use them? The fertility protocol provides other health benefits as well, including liver, digestive and adrenal support. It also calms the nervous system and reduces stress. He may find himself more relaxed throughout the day, as well as enjoying an increase in energy and improved sleep. This may motivate him to try wearing them. Or he could begin with wearing one or two seeds at a time and rotating through each of the points. If he's still not interested, then simply focus on wearing your seeds.